Thanks to football fan Ann F for this one. 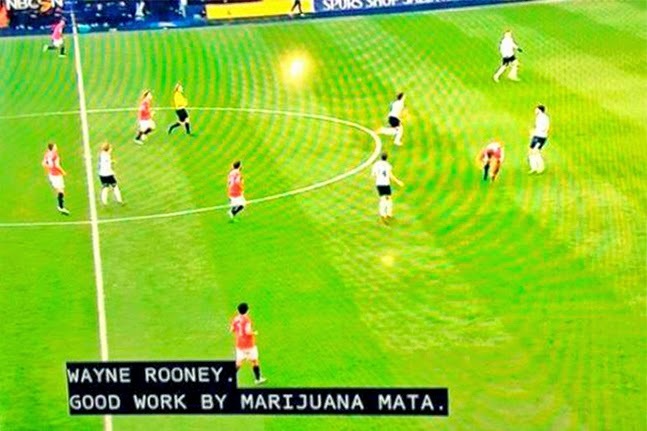 I guess Juan Mata, the midfielder who plays for Manchester United, should be relatively happy with the nickname the NBC subtitles department has given him. He could have been Mary Jane. At least NBC was right on one count. He was out on the grass.